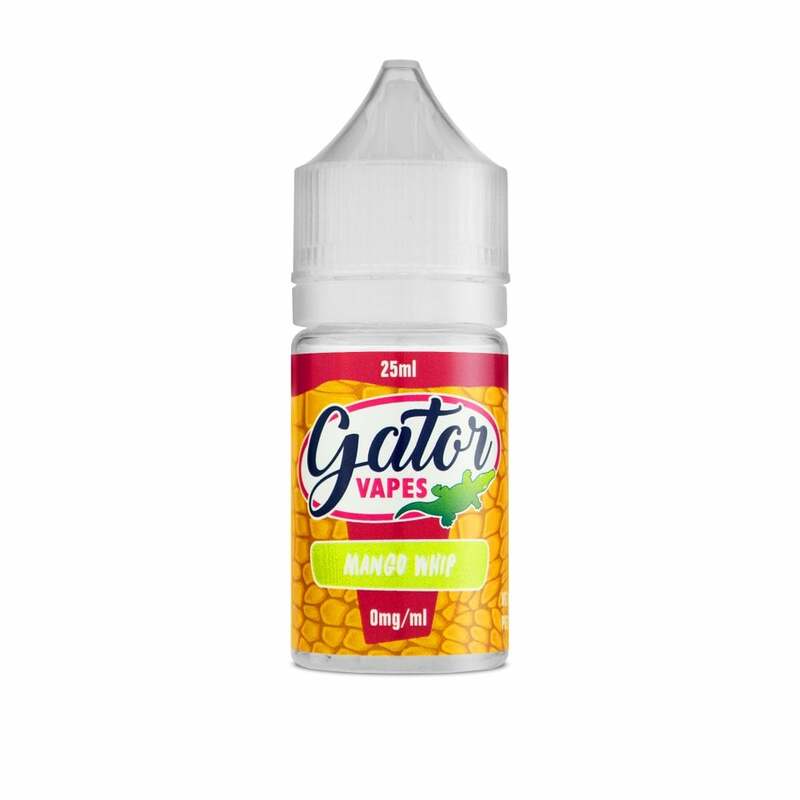 Gator Vapes Mango Whip is a treat for tropical vape lovers. Each inhale brings a rush of juicy mango flavour that’s sweet, refreshing and full of authentic flavour. If you’re looking for an all-day vape with an exotic twist, Gator Vapes Mango Whip is the one for you. Gator Vapes is a range of UK-made e-liquids with serious bite. Each Gator Vapes e-liquid has a 70% VG formula and comes as 25ml e-liquid in a 30ml bottle, so just mix in half a nicotine shot and enjoy the intensely fruity flavour!